Aldar Properties PJSC (‘Aldar’), Abu Dhabi’s leading listed property development, investment and management company, is making strong progress across its residential development projects, Aldar said in statement today. Hadeel, located at Al Raha Beach, which aims to redefine waterfront living with a community consisting of prime apartments and villas is on track to be completed during 2017, having been launched to the market in 2014. Construction work is proceeding in line with shoring and piling works now complete and with ground floor works due to commence by mid December 2015. Ansam, the first residential development launched on Yas Island by Aldar in 2014, is expected to be completed during 2017. Ansam has benefitted from strong demand for prime residential property on one of the UAE’s most iconic destinations. Casting of the raft foundation is nearing completion with strong progress on the ground and first floor slabs. The four buildings’ substructures and basements are also nearing completion. 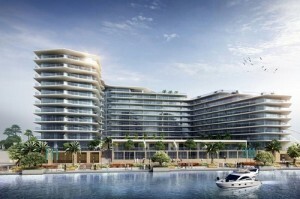 Meera, Aldar’s first mid-market focused project, is located in Shams Abu Dhabi on Al Reem Island. With shoring and piling contract now awarded, Meera is expected to be delivered to the market during 2018. In line with this, the project has now completed detailed design and tender documentation phase with the main contractor expected to be appointed by March 2016. Merief, a community of 281 residential plots targeted at the UAE National market, is scheduled for completion during 2017. Located within Khalifa City in Abu Dhabi, Merief will be complemented by parks, mosques and an Aldar Academies operated school. All concept and preliminary designs have now been completed and the detailed design phase is also expected to be completed before the end of 2015 with a main contractor due to be appointed in April 2016. Nareel Island, a master planned community for Emiratis located in the heart of Abu Dhabi, and comprising 148 villa plots, is scheduled for delivery in 2017. Aldar is currently focusing on developing the infrastructure and public realm, both of which are in the detailed design stage, to ensure that when plot owners complete their homes, this destination will be a fully-fledged community from the outset. The main contractor is close to being appointed, having already awarded the earthworks and marineworks tender packages. Aldar is taking a destination led approach, with much of its development pipeline being focused across its land banks at Yas Island, Al Raha Beach and Shams Abu Dhabi. Combined these destinations have a land area of 11 million sqm, and an approved GFA of 5.9 million sqm. Each destination ensures a strong diversity of project, ranging from high density urban developments at Shams Abu Dhabi to luxury family living destinations at Al Raha Beach. These are complemented by Yas Island which is already becoming a world class leisure and entertainment destination.